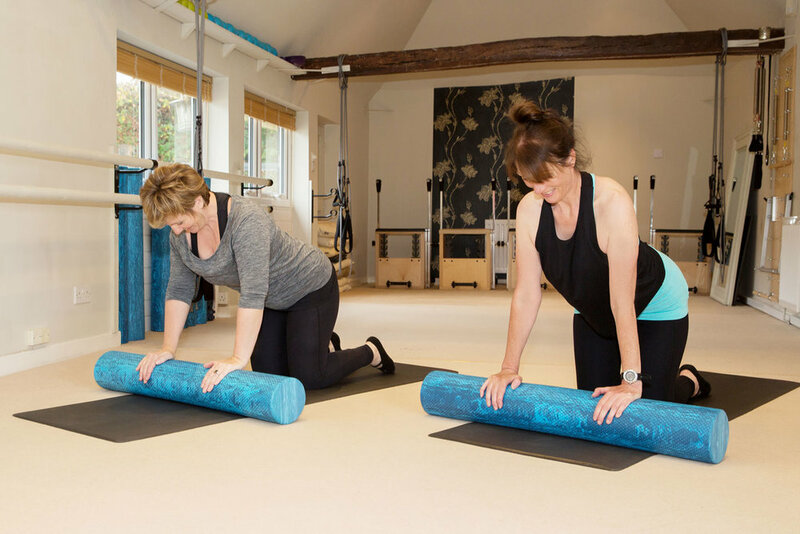 Pilates is a series of controlled movements set to improve flexibility and strength in the entire body with a focus on posture and spinal alignment. Designed by Joseph Pilates in the 20th century, Pilates has since been recognised to alleviate pain, correct imbalances in the body and improve coordination. Over a period of time as the body adapts, the exercises can be modified making the workout more challenging. For this reason, Pilates is suitable for any participant from beginner to an advanced level. Pilates is a form of what is known as "functional training" which simply put, means the body is trained for the movements made in everyday life. This leads to better joint mobility and stability as well as more efficient motor patterns. Pilates has the added benefit of elongating muscles giving them a long and lean appearance as opposed to the short, bulky results which are often obtained from traditional strength training. We are able to promote this further by the use of 'springs' in both our Springboard and Wunda Pilates. When the body is working against the spring, it has to work against both the 'push and pull' of the tension in that spring meaning it works twice as hard as when it is lifting weights for example. This balance of strength and flexibility in the muscle works not only when it is 'shortened' and bulky but when it is also stretched, elongated and long meaning the likelihood of injury is far less.